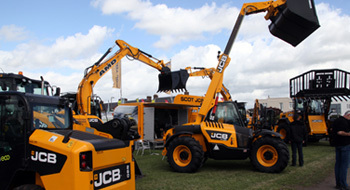 First held in 1962, following the amalgamation of the Dumfries and Lockerbie agricultural shows, Dumfries Show is an old established agricultural society and is now considered to be the largest one day show in the country. 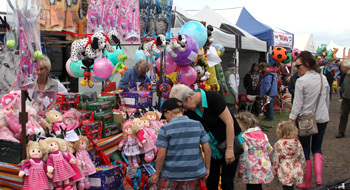 It is a traditional agricultural show held on the first Saturday in August each year. Dumfries, being primarily a livestock producing area, prides itself on the quality of the livestock on display, with the quality of dairy, beef and sheep sections second to none. There is a very large and growing horse section with an extensive array of different classes. It has BSJA affiliation and is a qualifier for Blair Atholl. The show has an enthusiastic goat section, including milking trials. 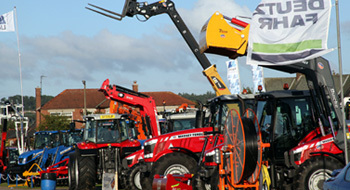 There are also sections for the home and garden industries, stick making, a large craft fair, a food festival with cookery theatre, a very popular and growing cheese competition which is the only one in Scotland outside the Highland Show and a young farmers section as well as a huge array of stands throughout the showfield. We aim to put on an entertaining, educational show in a safe environment for all the family whether they be involved in farming or not. Come and enjoy a great day out.